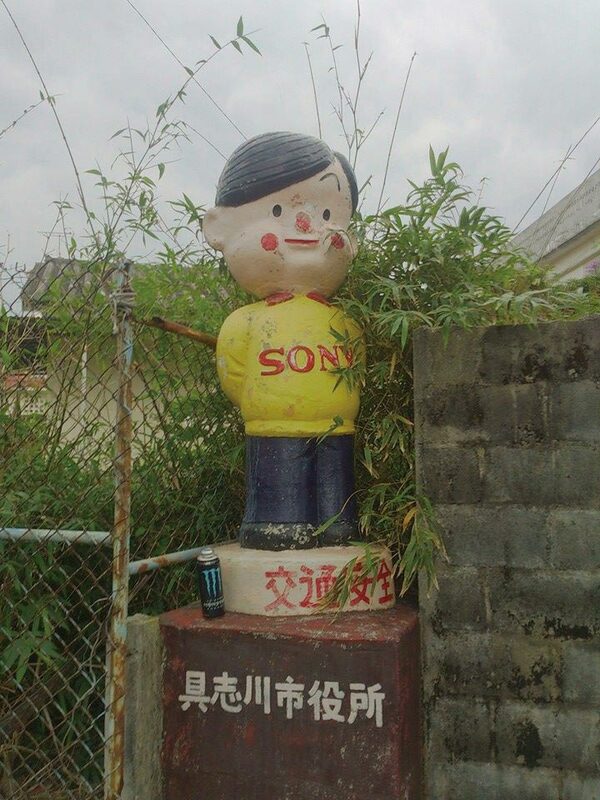 Driving through Okinawa, you may run into Sony Bouya. He is a road safety figure who you can only meet on Okinawa. In 1956, 10 statues of Sony Bouya were set up, although now only five remain. It might be fun to go on a Sony hunt. Here are the places where he can be found; Jahana in Motobu, Nodake in Ginowan, Kaneku in Nishihara, Nashiro in Itoman and Agena in Uruma. What is Sony Bouya? He was a character in a serial cartoon “Acchan” in the Weekly Asahi written by Fuyuhiko Okabe, which Sony published in 1956. The character was used to promote sales of printing products, as a mascot and a store display character.